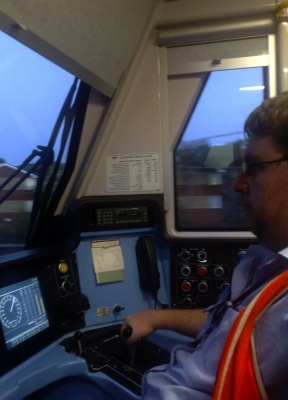 Working as a Train Driver – What is it Like? 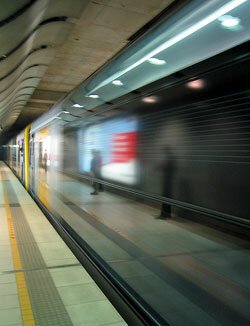 Eric Scaresbrook is a Train Driver on Sydney’s Cityrail network. I met Eric at a trivia competition a few months ago. After finding out that he was a Train Driver I knew he’d be an interesting interview subject. Did you always want to be a train driver? When I was a small child, I’d sit at home or at school watching the trains go by. I always thought that it would be cool to be able to drive a train like that some day. I’d spend hours growing up at railway stations or where I could see the trains and watch and learn what was going on. Every day at work you have the great responsibility of safeguarding your passengers and controlling whether they get to their destination on time. How does that make you feel? It is certainly a challenge, that is for sure. I always make sure that you get from Point A to Point B safely, as comfortable as I can and as close to time as I can. I’ll do what I can to run on time but there are many factors that at times can work against that. If you’re starting the first driving shift of the day what kind of safety checks are your responsibility to ensure the train is fit for service? At the start of each day, a driver does a series of checks throughout the entire train to ensure that everything is working as it should be and that the train is safe to leave the Depot. This also applies to some trains during the day that are only used between the two peak hours. There are minimum standards and if something does not meet that standard, the train does not go into service. These checks (called “Train Preparation” or “Prep” for short) vary depend on the length and type of the train and the location of the prep. Assuming that there are no problems found during the prep, these checks can take between 60 – 80 minutes before we even think of getting the train onto the main line. What’s the strangest item you’ve seen people transport on a train you were driving? Lately I have seen a couple of blokes loading bed mattresses onto the train. I’ve got a theory that they could be using our service as a delivery method rather than using a Captain Snooze truck. This has happened on two separate occasions that I’ve seen on the Inner West and Bankstown lines. Some people try to bring on petrol powered scooters or motorcycles which is a big no-no for what should be fairly obvious reasons. What are the best and worst experiences you’ve had while being a train driver? The best experience for me is the feeling after a long trip when I know that I have driven really well. Sometimes (but not often), a passenger will thank me for driving them. The worst thing apart from the shiftwork for me is nearly hitting someone. I have not actually hit anyone yet (my worst is a shopping trolley and an Otto bin – both on the same trip!) so when that happens, that will not be good. I have heard of blokes leaving the job after a fatality. Coming close is bad enough. Stay off the tracks, people! Mobile phone use is an interesting one. A mobile phone can be so handy for us if used properly. With the current train radio system, we are restricted to being in the driver’s cabin. If we leave the cabin (for instance, to fix a fault), we are uncontactable unless we have a mobile phone with us. Mobile phones are often used during fault finding. They are also used to contact drivers and supervisors in times of service disruption to trains. Also, a mobile phone is considered a backup communications device in the event of a radio failure. If we are responsible enough to drive a train, we should be considered responsible enough to use a mobile phone when needed and when it is safe to do so using our judgment and risk assessment. 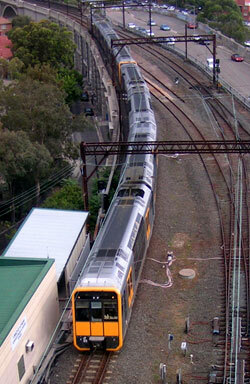 For readers who are interested in becoming a Train driver, what kind of qualification & training process do you have to do to drive for the CityRail train network in Sydney? There are three main ways to be able to drive for CityRail. 1 – The way I did it was to be a current employee and work your way through the ranks. Immediately prior to becoming a driver, I was a guard. 3 – Come directly off the street with no previous railway experience. In all three cases, the jobs are advertised in the Saturday newspapers in Sydney, at the Railcorp website and Jobs NSW as well as sometimes in publications such as Railway Digest. for your job. It is vitally important to know how your trains work, how to fix them when they don’t work and as well as network knowledge. There are many safety rules and regulations to remember in addition to the train and track knowledge but the course goes through them in the necessary detail. During your on-road training, you have an experienced driver trainer with you that will guide and coach you as you drive trains across the entire suburban network and the different varieties of trains and conditions. For me, I needed a minimum of 6 months (guard to driver) which included at least 200 hours of actual driving on the network. The current off the street course is in its early stages and takes around 9 months with a minimum of 250 hours. When not driving trains Eric’s passion is creating “Erk Pod” – a personal podcast he produces each week featuring news, sport, entertainment, music and more. Eric also volunteers with the NSW Rural Fire Service as a Communications Supervisor (he was formerly a Fire Fighter) and as a volunteer rally official in NSW/ACT at club, state and national levels. There are groups of people who are just in love with trains and are always on the look out at train stations and railway lines for rare trains. Its a lot different to being a train driver in India !!! Great Interview. I have always been fascinated with the job of a train driver. We the public, only get to see or rather notice train drivers, when you are boarding a train from the first carriage. Otherwise you don’t even notice that they are there. I have always been fascinated with the job of a train driver. We the public, only get to see or rather notice train drivers, when you are boarding a train from the first carriage. A great article. Always interesting to know more about what the job involves. I have just been accepted to become a train driver. I will be starting my training sometime in the new year. Will be a change from my current job as a Librarian! I enjoyed the interview, I took a train this year for the first time. Two of them actually. One from New york to Chicago. And then the other from Chicago to California. I was surprised at the bumpyness of the ride from time to time. I wonder how it is in the driver’s view. hi this is pritpal singh i want become a train driver and don’t now where can i get the training of train driver so plz tell me that where can i get classes of train driver. It would be awesome to be a train driver! I believe that it would be awesome crusing the country side, using those amazingly cool sounding train horns, and getting paid! Nice interview. Driving a train has a lot of responsibility; very similar to coach drivers. I REALY WANT TO BECOME A TRAIN DRIVER BUT I AM SENDING THIS MAIL FROM AFRICA IN ZIMBABWE . I HOPE YOU WILL CONCIDER MY MAIL. what school exams do you have to have to become a train driver and on average how much do you get paid a year? my two sons all like watch train very much, now my older son is 12 ,he has his own interest, my younger son kevin is almost 3 years and I accompany him to watch train again, just like my life back to 10 years ago. good memory and good experience. Hi, I really want to be a train driver when I grow up. The nearest training centre to me is in Petersham. Is it fun driving a train? Do you drive a Tangara? 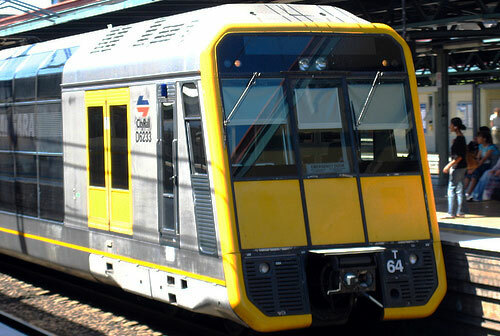 I want to drive a Tangara or an Oscar. Did you know that Oscars don’t stop at regular stations because they’re a few carriges long? Its not a real train though, you can call anything with a front headlight, rear marker lights and a warning device a train but these things are just like driving slot cars or buses only easier, you don’t even have to worry about in train forces (buff and draught). Has anyone ever ripped a draw bar out of a rail car? Your car is not a real car, you could call anything with 4 wheels and head _ brake lights a car. @Harry Oscars don’t go past certain stations because they’re too wide, not because they’re too long. V-Sets are much longer than Oscars. Tangaras are awesome, especially in the wet on a down hill platform when the bastards just keep sliding. I love Tangara’s When i first went on a train when i was 5, it was a C set, then it was a G/T Set Tangara, back when they where silver and black, im only 11 now, but the only thing i hate is that Tangaras are so hot inside, i always sit at Revesby station and watch the trains and i know most of the drivers and guards and other staff, they always give me a wave or a honk, i cant wait until im older to drive a train!